Happy New Year and welcome to 2018. While preparing our resolutions, how many of us have included a pledge or commitment to support gun violence prevention programs like the workshops conducted by Wheelchairs Against Guns? January is the month that makes us all reflect on things we want to do better than we did in the previous year. Newly inspired, we commit to making improvements in our actions and behaviors that will lead to progress for ourselves, our families, and society as a whole. It is in these moments supporting nonprofit organizations like WAG should come to mind. These are the organizations that have dedicated themselves to the noble causes that bring out the best in humanity. For instance, through it’s gun violence prevention programs, Wheelchairs Against Guns has accepted the mission of saving the lives of those who are most at-risk to the dangers of bullying, gangs, and gun violence. How many of us have taken the time to reflect on the moments during 2017 when we heard news about gun violence and the effects it had on those who have actually experienced it? More importantly, how many of us took actually did something meaningful to help prevent such tragedies from occuring in the future? Too often, we forget the tragedies caused by gun violence in this country. It’s like we are becoming immune to violent behavior. After the initial shock of the incident, we revert back to normal behavior and normal conversations. This will not make our society a safer place to live. We need conversation and actions that will lead to supporting and empowering gun violence prevention programs, like the kind Wheelchairs Against Guns conducts in inner city schools. Many of the students that attend these schools are children from financially challenged families and tough neighborhoods. These conditions make them more susceptible to being exposed to gun violence. To avoid falling victim to the deadly elements in their communities, these children need critical thinking and conflict resolution skills. Which is what WAG provides at the various workshops the organization conducts. A growing number of gun violence experts are seeking to have gun violence designated as a health issue. The National Physicians Alliance and the Law Center to Prevent Gun Violence, have collaborated to produce a new report identifying evidence-based prevention methods to curb the epidemic of gun violence plaguing the nation. 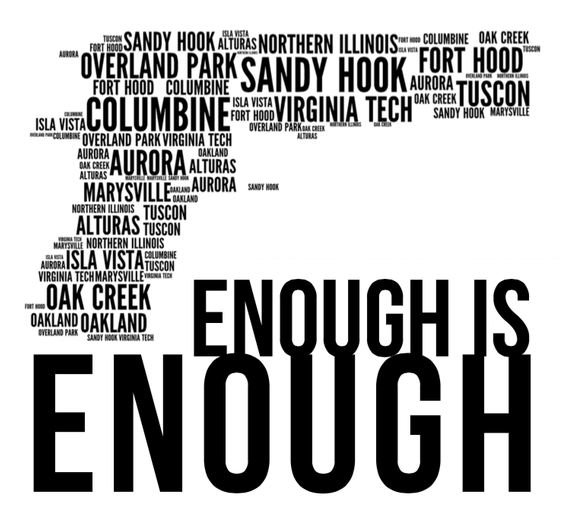 While WAG welcomes these high level discussions for the insights they uncover, as well as understanding that having a health designation would enable federal funding for portions of our gun violence prevention programs, we need your help now. We have proven gun violence prevention models that actually saves lives today. Click here to pledge you support for our gun violence prevention programs and help Wheelchairs Against Guns save a child’s life! A call for action to launch tangible initiatives to defend children under attack in American schools. IS THIS ENOUGH YET…..for American mothers, fathers, sisters, brothers, other family members, friends and educators? At least 88 dead and 92 wounded by gunmen reported by the “Daily Mail” this past week – covering 20 years in our schools in the USA. This, before the 17 killed and at least 14 wounded at Douglas High School in Florida on Valentine’s Day, 14th February 2018. These are the grim statistics and sad reality in our America. A continuous, widening circle of pain and suffering. We are sick and tired of the useless statements and inaction by politicians of both parties that lament our losses as so sad, too bad, now let’s move on – to wait for the next massacre. This is not a proposal for Americans to turn in their arms to the Government – though an assault rifle owned by the 19 year old Douglas High school accused shooter believed to be mentally ill and to have “brain development issues” is inexcusable and a deep bloody stain on the hands of our political leadership at all levels. This is symptomatic of the terrible sickness of violence that infects our country. To treat and heal this illness will take a comprehensive plan of action and education and time – an effort that must be embraced by all Americans. In the meantime, what follows is an interim but immediate call for Voluntary Citizen Action, consistent with our American traditions and values of helping our neighbors. Right now, our “barn is burning to the ground” and we must take drastic action to protect our school children. What we see today, is NOT1 the America veterans like me fought to protect, preserve and leave to succeeding generations. So, now it’s finally left up to us – veterans and other responsible and capable citizens to step in and put a stop to this American tragedy. Why? Because our Government’s leaders are paralyzed by political in-fighting and special interests and other pressures and therefore have proven themselves incapable to act on our behalf. We are not condemned to suffer the insufferable. We do not have to watch this slaughter of our children time and again and listen to empty and repetitive statements about how this is not our fate and that it must end. This predictable rhetoric and these mind numbing repetitive platitudes lead nowhere – to no plan of action to stop this madness, this corrosion of our values, of our posterity – leading to the destruction of us and our American dream! If we don’t defeat this threat to our society, our children and grandchildren will rightly condemn us for doing nothing – or at least not even failing in the attempt to take action! •	First, a Presidential Inter-Agency Council on Protecting our Schoolchildren from Violence must be created, which would formulate strategies and plans of action for implementation. Composition would include senior representatives of the Departments of Justice, Education and Homeland Security, with a broadening of the latter’s current mandate beyond counter-terrorism, to include oversight of programs to protect our school children in the USA. These departments would be augmented in their work by state representatives on a rotational basis. States should be encouraged to replicate this body at their level to help assure consistency in the implementation of initiatives aimed at protecting our school children. •	As an initial, substantive and needed measure, we must create: A Corps of (unpaid) Volunteer American Guardians, armed, trained and certified by local police departments, with standards overseen by each of the states and with the guidance of the FBI. These men and woman could largely be drawn from our huge American resource pool of military veterans, retired police, firefighters, armed security personnel, hunters and others who have the capacity to be trained to rigorous standards of weapons safety, marksmanship and school security. The Corps’ principal aim would be to serve as a deterrent to violence. Prospective shooters, who are accustomed to killing defenseless children will have to think twice, knowing they will have to confront an armed and trained defender, who will use force, if necessary, to protect our children. Individual guardians in this Corps would function under the supervision of senior school administrators (coordinating with local police), who themselves must be trained to fulfil their responsibilities for security. Periodic exercises and drills of lock down procedures, employment of communication networks, semi-annual weapons’ qualification and rules of engagement would be required on a regular basis. School administrators, teachers, staff and the Volunteer Corps members would work as a team, dry running practical scenarios to ensure the team responds effectively. To some this will all seem far too difficult to accomplish…..and while it would certainly be a challenge to put into action, what are our alternatives – really? Waiting in vain for our executive or legislative arms of government to act has given us only empty words, no action, no results, not even promises of action. What can you do? You can act…..you can pressure your representatives – or you could volunteer yourself to do whatever proves necessary to stop this endless cycle of killing and grieving. One additional question each of us should reflect on: why is it that it’s often easier to obtain an assault rifle and a “bump stock” which enables the weapon to fire automatically, like a machine gun, than it is to get a driver’s license in America? Important to add that this sickening state of affairs is the responsibility of our entire body politic over a number of years – not just democrats or republicans but all of our leaders and legislators. Additionally, these shooters–whether terrorists or domestic whackos–are looking for as many casualties as possible. Thus, they seek out soft targets. This proposal is a relatively low cost contribution to making school soft targets-harder targets. Finally, an important way to look at developing a solution to this threat to America is this: in World War II about 9% of our total population was under arms. In Vietnam, it was about 2% and now it is less than 1%. The result is that the “nation ” has been less and less involved in our conflicts. We military/veterans do get the “thank you for your service”, but the “nation” is really not directly engaged. Much of the growing despair over the mass shootings is calling for, in effect, ”someone” to “do something”. This proposal of standing up a Corps of Volunteers would involve thousands of citizens in the struggle and would seek to challenge us all “the nation” in supporting this battle. It would be “we” are doing something-rather than let the Government – or the military or “somebody” fix the problem.